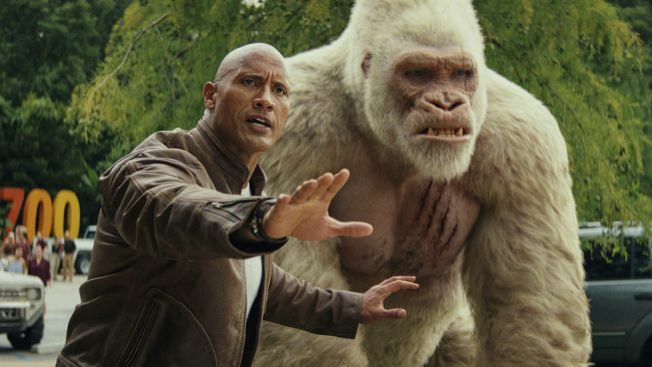 This image released by Warner Bros. shows Dwayne Johnson in a scene from "Rampage." It's another weekend of buzz versus pure star power at the box office as the word of mouth sensation "A Quiet Place" finds itself neck-and-neck again with Dwayne Johnson's "Rampage." This time buzz had the slight advantage.